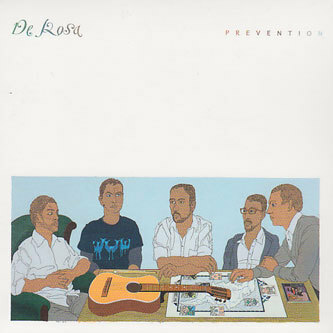 Prevention finds Scottish post-pop troue De Rosa in top form, delivering a varied and rich selection of songs, from the clicky beats and glockenspiel riffs of stately opener 'A Love Economy' to the delectable 'It Helps To See You Hurt'. Digitally-reinforced acoustics show up on 'Pest', which sounds like the kind of electrified songsmithery you'd hear on Morr Music nowadays, while the likes of 'Nocturne For An Absentee' bring a more concise, modern edge to proceedings that wouldn't seem out of place within the David Sitek oeuvre. Another stealthily excellent release from Chemikal Underground.